Gordie Howe, simply referred to as ‘Mr Hockey’, was born on March 31, 1928 in Floral, Saskatchewan. He came from a large family, being the fifth of nine children. The family was poor and food was scarce, mainly due to the Great Depression, his father worked as a mechanic, a laborer, and a construction worker to feed his family. Gordie often suffered from malnutrition and health-threatening calcium deficiency due to lack of food, and was often sick. As a child, he was extremely shy and felt awkward in social gatherings-a problem that he would have to deal with throughout adulthood. Gordie received his first pair of skates at the age of 5 when his mother bought a sack of used goods from a neighbor in need of money. Howe was taken by the obsession of hockey from a very early age and he became deeply involved with it. By the time he reached twelve, Howe became an excellent skater. He helped his father on construction sites and this helped him develop great body strength. At 15, he was 6-foot tall and two hundred pounds heavy. Gordie Howe began to attract the interest of several professional scouts and upon reaching 15, he was invited to a try out camp by the New York Rangers. Howe managed to land a try-out with the Detroit Red Wings the next year, where coach and general manager of the team, Jack Adams, was quite impressed by his strength and prowess as a hockey player, and offered him a contract. A seventeen years old, Howe was assigned to the Red Wings’ minor league farm team in Omaha, Nebraska. He played excellently throughout the season and therefore, the next year he made it to the major-league club. He effortlessly scored goals, skated with natural ease and was perfectly in control of the game. He matured to a professional player after three years, and scored a total of thirty-five goals in three season. In the years 1949 and 1950, Howe came out to be one of the NHL’s top scorers, which continued for the next two decades. In 1950, Howe met with a life threatening injury during the first playoff game, his skull was fractured and he suffered a concussion, his cheekbone and nose broken. He had to undergo a serious surgery which left him in a critical condition and his career as a hockey player hanged in the bargain. However, Gordie recovered and came back next season with the same fire and zeal for hockey, playing in every game and making the highest number of goals. He began leading his team and was selected the NHL’s Most Valuable Player six times. Howe’s success also brought success for his team and his efforts won his team the Stanley Cup playoff four times. Howe married Colleen Joffa in 1953 and they went up to have four children: Martin, Mark, Cathy, and Murray. Their boys also became involved in hockey. In 1971, at the age of 43, Howe retired from the Red Wings. He was offered a job in the team’s front office which he accepted. However, in 1973, when his sons Marty and Mark were accepted in to the Houston Aeros of the new World Hockey Association (WHA), Howe contemplated on joining them and fulfilling his dream of playing professionally along with his sons. He got himself back into shape and led his team to a victory winning the league’s Most Valuable Player award. 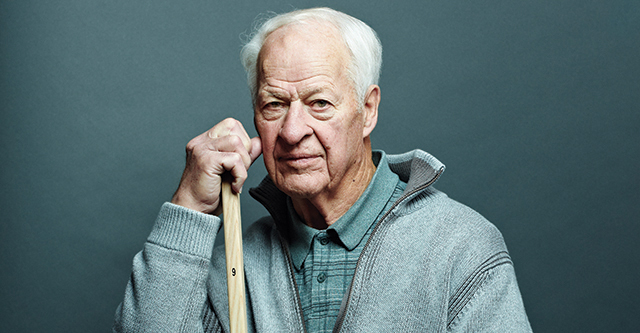 Gordie Howe was actively involved in charities and in 2001, Howe and his wife was honored by the inauguration of a school in their name, The Colleen and Gordie Howe Middle School in Abbotsford, Canada. They carried the Olympic torch through Detroit, Michigan, for the 2002 Winter Olympics.